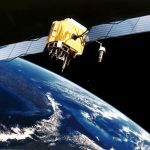 What is the difference between GPS and GLONASS? Can you change the unit for elevation contour on the hunting GPS? Are there different kinds of maps to choose from? 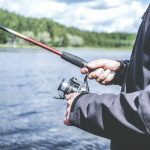 Does a Hunting GPS require batteries? A Hunting GPS or Global Positioning System is a must-have for those who go off the beaten trail and chance losing cell service in the backcountry. or who don’t want to bring their phone along with them for the hunt. Think about how many people who have lost their way in the woods because of failed cell service. All of these problematic times could be solved just from purchasing a Hunting GPS. 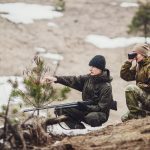 Choosing the best hunting GPS for you can make or break your hunting experience. All of them have various features that may be beneficial to some and impartial to others, so it is vital you check out all of your options. 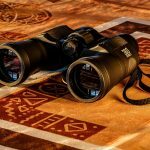 There are many Hunting GPS options out there, so let’s take a look at the best 5 hunting GPS on the market today. The above products are the 5 best options for those looking for a hunting GPS. Each has unique uses, strengths, and weaknesses that we’ll go over below. Following the reviews, look for a “How to Choose” section that’ll explain exactly what to look for when purchasing your own hunting GPS. After that will be an FAQ segment, finally leaving off with a wrap up of tips and reminders. Let’s start with the first option. 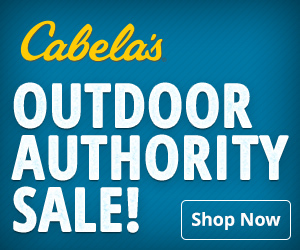 This unit is the Best Hunting GPS that you can currently find on the market. Some of its best features are below. The first thing to note about this fantastic GPS is its high-performance capabilities. With built in topographic maps and plenty more you can download and have displayed on the 2.3-inch screen, you will never get lost in the field. The inReach’s reception happens to be incredibly reliable as long as you have a clear view of the sky from your vantage point. You can save routes and waypoints prior to or during your hunting trip to stay on a planned route. Prefer to go with the flow? The built in digital and topographic maps come equipped with a compass for directional navigation. Whatever your method of navigation, the Garmin inReach Explorer+ has you covered. Getting your inReach to operate is simple. With straightforward buttons and easy to navigate menus, you won’t miss a thing. Your Garmin inReach Explorer+ can provide you with current weather maps so you’ll always be ready for what mother nature has for you. 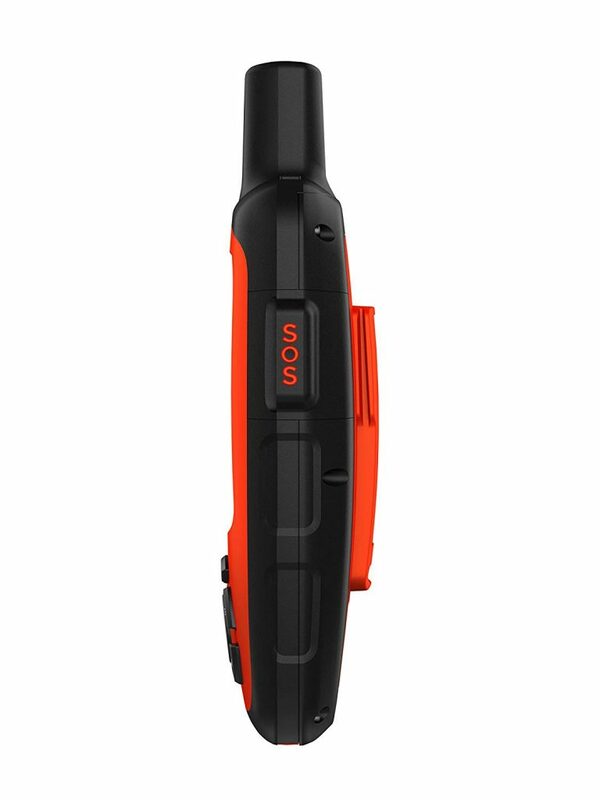 The inReach Explorer+ is waterproof, so don’t worry about any unexpected rain. Weighing only 8 ounces, this GPS doubles as a communication device when your cell phone does not have cellular service. You can even share your location. Send and receive messages with other members of your group or loved ones curious about your whereabouts. One common complaint about the Garmin inReach Explorer+ is how it is not as conveniently portable as some would hope. 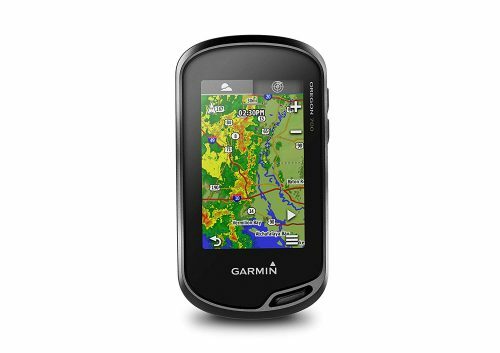 For this reason, Garmin introduced a mini version of this as well with similar abilities. All in all, the Garmin inReach Explorer+ has a lot of ideal qualities for hunting, therefore being one of the best options to purchase. This unit is best for users who prefer a more modern GPS with great technological advances. This GPS is perfect for those looking for a more modern look to their GPS. The Oregon 700 Handheld GPS from Garmin is sleek and effective for the most contemporary of hunters. The GPS satellite reception has built in GLONASS satellite reception as well just in case one fails. 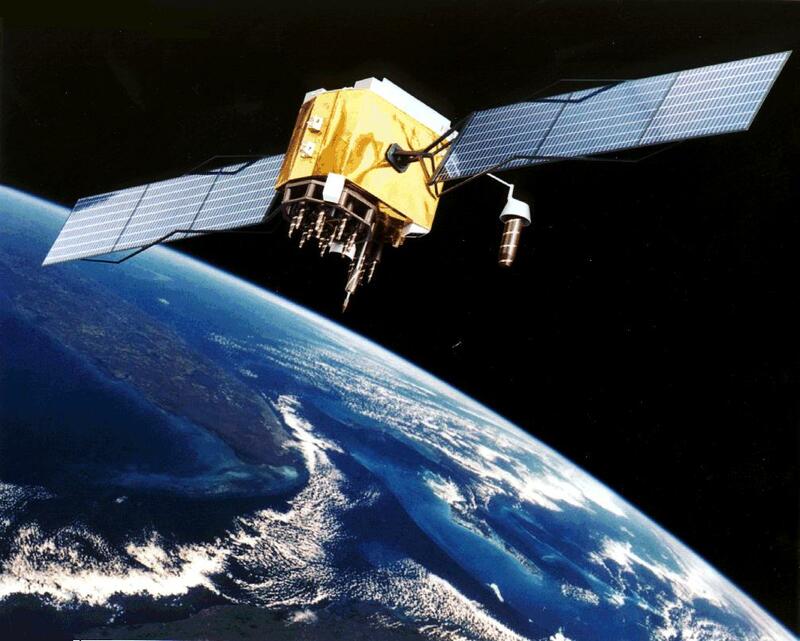 GLONASS is Russia’s satellite, while GPS is closer to the US. Both systems are connected to give you the best connection possible. Fun functions included are the Oregon 700’s ability to connect to WiFi and Bluetooth. This allows full customization of the 3-inch screen’s settings. You get to decide if you want extra apps downloaded or not, such as Geocaching maps and even live weather maps. When you see the weather start to change to rain, don’t worry as the GPS is rated to IPX7 standards. A common complaint about the Garmin Oregon 700 is its lower battery life than other like models. Still, with an impeccable 16 hours of life, the Oregon 700 can last a long time in the fields if maintained and used efficiently. This lower battery comes from the higher use of a screen which eats away at battery life. 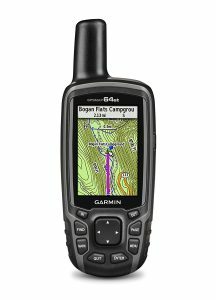 Overall, the Oregon 700 Handheld GPS from Garmin is a great option for hunters who prefer a more current technological feel to their GPS. This Hunting GPS is best for those looking for a combination of practicality and fun when hunting. The Garmin GPSMAP 64st GPS has many fun features to use when you’re on the field. With the whole topographic map of the United States pre-downloaded onto your device, you won’t have to worry about general locations. If you want more specific areas to visit, you can download exact location maps for a finer, more specific view of where you’re hunting. There are 8 gigs of memory built in to the GPS, so possibilities for maps are endless. 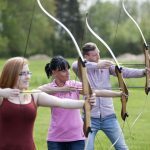 If you’re having an unsuccessful hunting day, use the Geocaching app that came downloaded for over 250,000 caches and hints. View these hints on the 2.3-inch screen of the GPS. Many hunters love this feature, as it acts as a fun way to pass time when walking to your destination. One common complaint about the Garmin GPSMAP 64st GPS is how the menus are difficult to navigate and reset. Also, keep in mind this GPS is not water resistant. Thankfully, many say the quick GPS Synching makes up for these issues. The Garmin GPSMAP 64st GPS is great for hunters who want quick GPS synching and precise maps combined with opportunities for fun along the way to their hunting spot. This GPS was specifically designed for only Hunters. This makes it one of the best options for a simple hunting GPS. 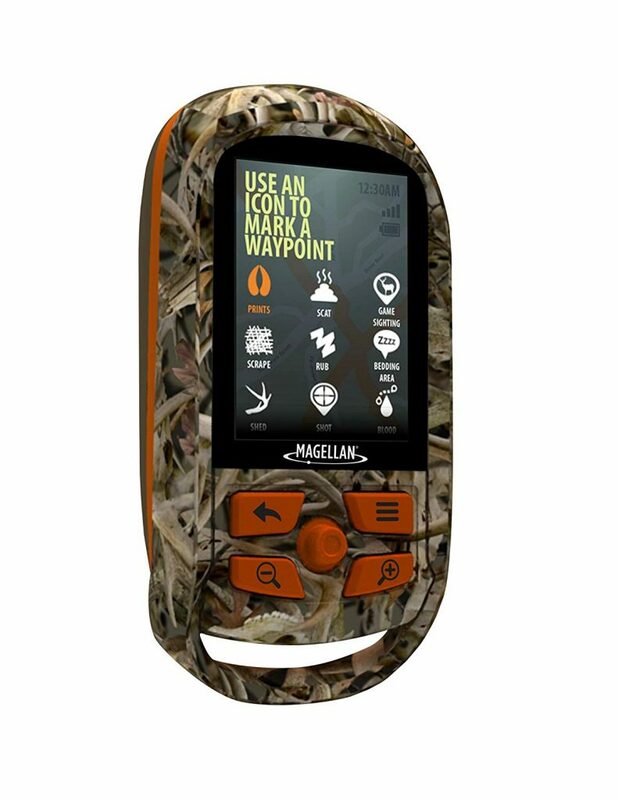 The Magellan eXplorist 350H Handheld GPS was designed with hunters in mind. 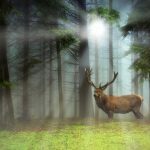 This means all of the features are fully applicable to all hunters. Such technologies include the pre-loaded maps of hunting areas in the United States and hunting boundary alerts of each state set up. Other features include having a hunting calendar of season dates and other important information that all hunters should be aware of. With 18 hours of battery life and a 2.2-inch screen, this GPS is sure to keep you updated when hunting without the bells and whistles other GPS options have. Back to the basics, this one GPS is all you need to keep focused while on the hunt. Some issues users experience includes problems in portability, batteries, and small screen size. This GPS weighs almost 15 ounces, much heavier than alternate GPS options. In addition, the eXplorist does not come with rechargeable batteries, so when low, new batteries must be inserted. Lastly, keep in mind you have to be in motion for the built-in compass to work properly. The Magellan eXplorist 350H Handheld GPS is perfect for hunters who want the basic capabilities necessary for a hunter’s success in the woods. This GPS is best for hunters looking for the simplest GPS location tracker. 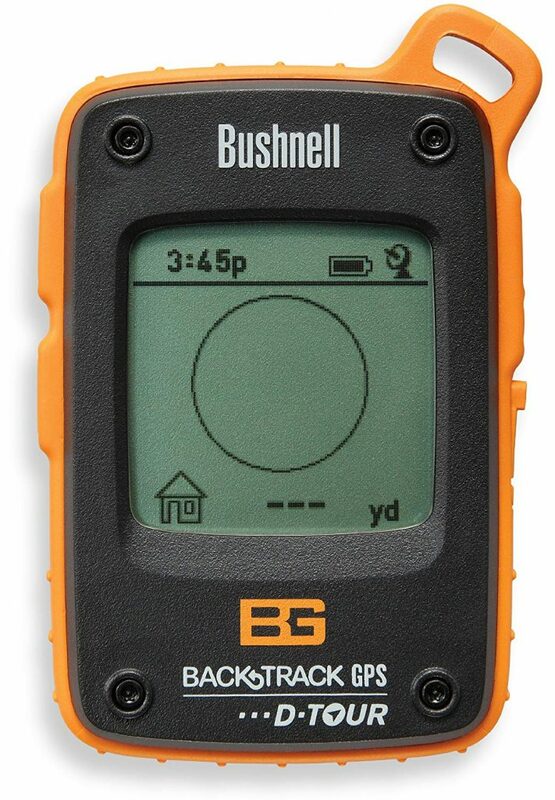 The Bushnell Bear Grylls Edition GPS was designed with simplicity in mind. No matter where you go or what you need done, you can always make your way back to your initial location with the push of a single button. Select your start location, and when you are ready to head back, pushing a home button will lead you right back to where you began by following an arrow on the screen. f you liked your route and want to follow it again, you can save the recording automatically made by the GPS’s internal devices and download it to your computer to use again. The GPS stores up to 5 locations and points automatically. Concerns people had with this GPS was it was too simplistic for their needs. No maps were pictured and only a single screen showed. 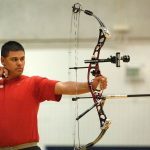 While this can be good for those looking for a bare boned location device, this does not help people who do not have a particular route they know they will travel. The Bushnell Bear Grylls Edition BearTrack D-Tour Personal GPS Tracking Device is best for people who want the simplest of GPS devices. There are many options for choosing the best hunting GPS for you. If you identify the criteria you are looking for in your GPS, it will lead you to the right selection for your needs. If you’re just using your GPS for hunting, consider a simpler device. If you are looking for something with a multipurpose factor, such as if you’ll use it while hiking or doing various outdoor activities, get a GPS with more features and downloadable maps. 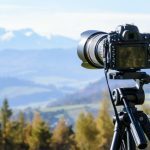 If you’re looking for something portable and compact, focus on the weight and size. Consider something that will fit in your pocket, and ideally less than a half pound in weight. If you’re looking for something that does not have to be so small and portable, such as if you’re taking your car wherever you go, this won’t concern you as much. If you’re looking for a map that is easy to read and full of information about areas you are in, look for a GPS with a topographic map built in. If you’re hoping just to get from point a to point b and not get lost, you may consider getting a less digital screen and getting something more straightforward. If you like additional gadgets and gizmos along with your maps, consider getting a GPS with downloadable applications like Geocaching, or ones that let you communicate with others through two-way texting or location sending. You may be in an area prone to wet weather. If this is the case, go for a weatherproof GPS compared to one that has no waterproofing. IPX7 tends to be the best weather rating, so look for that standard. GPS technology stands for Global Positioning System while GLONASS stands for Russia’s translation of Global Positioning System. Both are useful in the areas closer to them, as in GLONASS is better in the East and GPS is more efficient in the West. When paired together, functions increase just in case one area fails. Yes, you can absolutely change contour intervals on a GPS. This helps you identify the exact rate at which the area you’re in elevation changes. Yes, different map types are available to choose from. Such include topographic maps, weather maps, and physical maps. Some GPS may have multiple maps built in to one, but some may not so watch out for a specific map you need. Some GPS may require you to purchase and place your own batteries inside the terminal, and others may contain rechargeable batteries. To charge these, your GPS will come with a chord to charge it. Overall, there are many kinds of GPS technologies available to hikers. Make sure you look through the features you are looking for, such as size and functionality. Various options are available that may be better to some than others, so be sure to keep your mind open to many possibilities. By following this guide, it will lead you to determine the best hunting GPS for you. Some recommended products may use affiliate links. 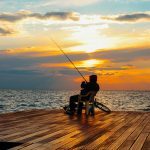 HuntersPulse.com is a participant in the Amazon Services LLC Associates Program, an affiliate advertising program designed to provide a means for sites to earn advertising fees by advertising and linking to Amazon.com. Amazon and the Amazon logo are trademarks of Amazon.com, Inc or its affiliates.